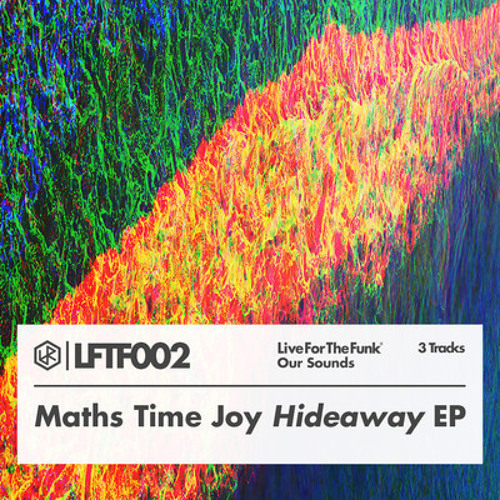 Full Hideaway EP w/downloads [LFTF002]: http://soundcloud.com/liveforthefunk/sets/lftf002-maths-time-joy/ Facebook: http://on.fb.me/Lc8cJb --- Live For The Funk: http://www.liveforthefunk.com "Maths Time Joy represents an exciting new wave of electronic music, and for our second 'Our Sounds' release, LFTF002, we've teamed up with the London-based producer to present his most complete project to date, the phenomenal Hideaway EP. Featuring three inherently distinctive tracks, the EP is layered thick with stirring synths, pronounced percussion, and warm vocal samples, painting his music in a compelling and mesmeric hue. Songs are bound together by their building and crescendo-like qualities—starting off relatively slow before exploding into a powerful rush of ethereal soundscapes. Encountered all together, the Hideaway EP makes for a truly emotional experience, and serves as an amazing introduction to the 22-year-old's thriving sound." -- Thanks to LFTF. propr m a n e.
I CRAVE YOU!!!! give us more! <3 This is absolutely sublime! Love your recent work MTJ! Please tour in Melbourne, Australia someday! jackson sent me here. followed and faved man. beautiful sounds! ahhhhhhh! you are one of my favorite artist! so lovely!